I'm super excited to announce RxMule, my latest open source project. 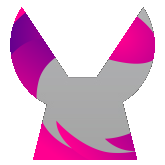 RxMule provides reactive extensions for Mule ESB, via a set of specific bindings for RxJava. For several years, I've been mulling over the idea of creating a DSL for configuring Mule. Indeed, there is a treasure trove of pre-existing transports and connectors for Mule, which is very compelling for anyone building connected applications (which, nowadays, is probably everybody). Unfortunately developers can be put off by the XML-based DSL used to configure Mule, and thus may pass the opportunity to leverage all this available goodness. As Rx is gaining traction, more and more developers are getting accustomed to its concepts and primitives. With this mind, and knowing that Mule is at core an event processing platform, it dawned on me that instead of creating a DSL that would mimic the XML artifacts (which are Mule specific), I'd rather create bindings to allow using Mule's essential moving parts via Rx. In short, RxMule allows creating Observable<MuleEvent> instances from different sources. A MuleEvent is what Mule creates and processes. It wraps a MuleMessage which contains the actual data and meta-data that's being processed. You can read more about the structure of a MuleMessage here. So why don't you take RxMule for a spin and see if it helps you achieving your application and API integration needs: with Mule at its core, I bet it will! Bug reports and pull requests are welcome at GitHub.